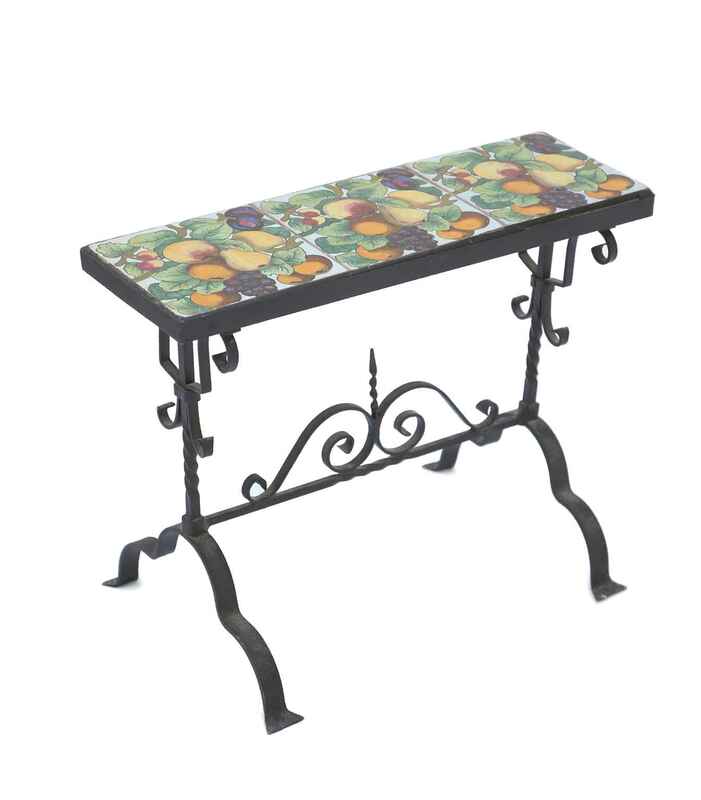 Side table, attributed to renowned Florida architect, Addison Mizner, having a rectangular top of hand-painted pottery tiles, on custom base, of scrolling wrought iron, raised on splayed legs. CONDITION: Very good condition. Minor wear consistent with age and use. Side table, attributed to renowned Florida architect, Addison Mizner, having a rectangular top of hand-painted pottery tiles, on custom base, of scrolling wrought iron, raised on splayed legs. CONDITION: Very good condition. Minor wear consistent with age and use.